Are quantum dot TVs - and their toxic ingredients - actually better for the environment? 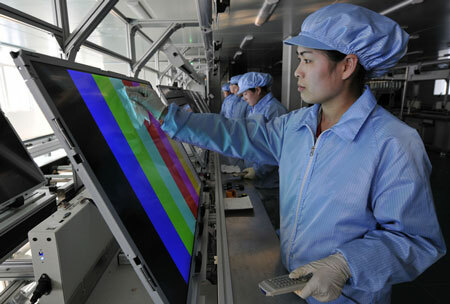 (Nanowerk News) Earlier this week, The Conversation reported that, “The future is bright, the future is … quantum dot televisions”. 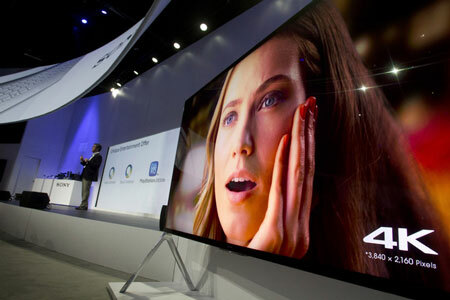 And judging by the buzz coming from this week’s annual Consumer Electronics Show (CES) that’s right – the technology is providing manufacturers with a cheap and efficient way of producing the next generation of brilliant, high-definition TV screens. 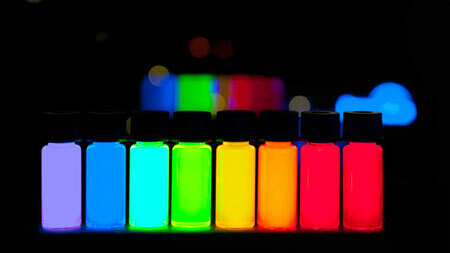 (click on image to enlarge) Quantum dots are a product of the emerging field of nanotechnology. 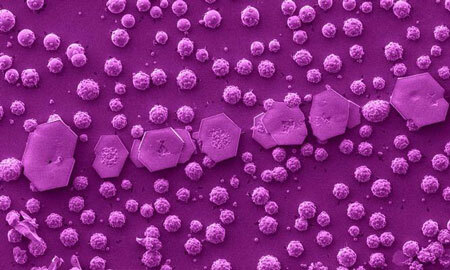 They are made of nanometer-sized particles of a semiconducting material – often cadmium selenide. About 2,000 to 20,000 times smaller than the width of a single human hair, they’re designed to absorb light of one color and emit it as another color – to fluoresce. This property makes them particularly well-suited for use in products like tablets and TVs that need bright, white, uniform backlights. On top of this, the potential health and environmental impacts of engineered nanoparticles like quantum dots have been raising concerns with toxicologists and regulators for over a decade now ("The New Toxicology of Sophisticated Materials: Nanotoxicology and Beyond"). Research has shown that the size, shape and surface properties of some particles influence the harm they are capable of causing in humans and the environment; smaller particles are often more toxic than their larger counterparts. That said, this is an area where scientific understanding is still developing. The company QD Vision has grappled with precisely this question. In developing quantum dots for products like Sony’s TCL Quantum Dot TV (debuting at CES this year), the company explicitly adopted an approach to responsible development that considered health and environmental impacts. As a result, in 2014 they won the Presidential Green Chemistry Challenge Award from the US Environmental Protection Agency (EPA). Although it seems counter-intuitive, analysis by the company that was made available to the EPA showed QD Vision’s products lead to a net decrease in environmental cadmium releases compared to conventional TVs. Cadmium is one of the pollutants emitted from coal-fired electrical power plants. Because TVs using the company’s quantum dots use substantially less power than their non-quantum counterparts, the combined cadmium in QD Vision TVs and the power plant emissions associated with their use is actally lower than that associated with conventional flat screen TVs. In other words, using cadmium in quantum dots for production of a more energy-efficient quantum dot display can actually results in a net reduction in cadmium emissions.